IBM Cloud is the company’s strategic imperative to serve enterprise needs for cloud services. IBM Cloud protects and extends clients’ investments in the private, hybrid, and public cloud by delivering a cloud platform that spans deployment models. Clients have entrusted IBM to deliver a fast journey to cloud. To date, IBM Cloud has been engaged by thousands of enterprises across 20 industries. 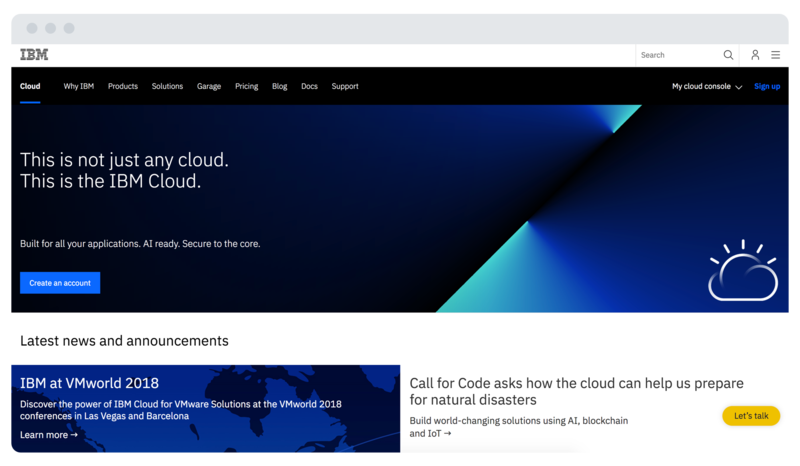 IBM Cloud is purpose-built with a full stack of IaaS, PaaS, SaaS, data, AI, and blockchain capabilities in support of enterprise cloud applications and AI workloads, leveraging IBM’s deep domain and industry expertise. IBM Cloud delivers a fully integrated set of hybrid tools and multi-cloud management capabilities for a client's protected and efficient journey to having a nimble enterprise cloud. From the start, IBM Cloud experienced rapid growth fueled by the company’s rich customer engagement and service offerings in its hybrid cloud deployment platform. However, managers realized they lacked real-time tracking programs that would provide insight into user behavior so that the business could understand and optimize customer engagement quickly. To continue to grow its customer base, IBM Cloud needed more granular insight into customer behavior. At the time, analysts were using incumbent analytic tools to track key metrics such as active users, number of applications running, number of deployments, and number of APIs running across the service. However, the data pipeline wasn’t consolidated. This made it difficult to confirm that the data was consistent across tools. 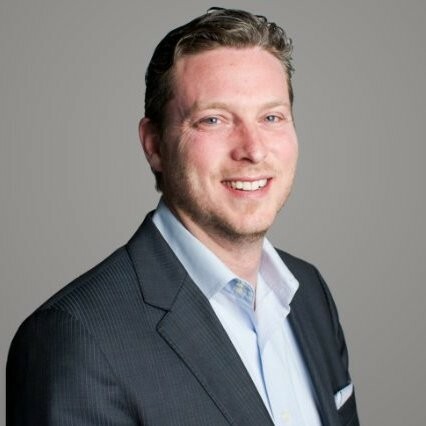 “There was no single source of data which could be used to monitor the end-to-end customer funnel,” said Nic Sauriol, Software Development Leader focused on Growth and Analytics of the IBM Cloud Platform. “We needed an overhaul to our analytics strategy. The goal was to have a consistent platform for tracking both front-end and server-side events. We didn’t want our managers to have to patch together data to get a comprehensive picture,” said Nic Sauriol. “Given the complexity of data feeds and diversity in use cases, we knew that we needed to design a system that would scale with us. Segment’s Customer Success Team helped us focus on tracking things at the source in a way that is easy to analyze later,” he explained. To achieve a unified view of the customer, the IBM Cloud team decided to create a multi-tool stack powered by Segment. They use Segment to standardize and normalize the collection of all their customer data consistently using a standard schema, then route the data to fit-for-purpose tools to achieve specific goals for the marketing and analytics teams. By using Segment to power the nurture tool with customer data, IBM Cloud was able to tailor its messaging to individual customers based on each customer’s history. The success of this pilot encouraged the IBM Cloud team to conduct a scaled roll-out. The IBM team also uses Segment to deploy new tools in just a few clicks rather than undertaking a lengthy integration process. Today, IBM Cloud integrates analytics, A/B testing, enrichment, and data warehousing tools with Segment. Downstream, IBM leverages the artificial intelligence of IBM Watson AI products, such as Watson Studio and Watson Natural Language Classifier, to identify deep customer insights. IBM Cloud now relies on Segment to normalize the data set that powers its reporting tools. “The goal of the Growth program that uses Segment data as a source is to get potential customers to expand the value of their IBM Cloud Platform use,” Ikladious said. “We A/B tested the program with Optimizely, and we looked at the revenue numbers for users that were not nurtured versus those that were sent messages triggered from Segment-tracked events. After three months, we saw revenue from the nurtured group increase by almost 70 percent,*” said Sauriol. “Segment has been a valuable resource to us from day one,” Sauriol said. “The engineering team loves it. The team is now using Segment data to analyze monthly spend information, what users are doing, how they run their businesses, and what features they rely on. We can slice and dice this data a thousand different ways,” added Sauriol. To streamline the integration process, Segment provided the IBM Cloud team with continued strategic guidance and hands-on advice throughout the onboarding process. Segment also supports the group on an ongoing basis. *Results from the nurture program were based on a three-month testing period targeting a portion of IBM Cloud users. Results are subject to vary.